Yara Shahidi was on hand for the 50th NAACP Image Awards at the Dolby Theatre yesterday evening(March 30th) in Hollywood, California. 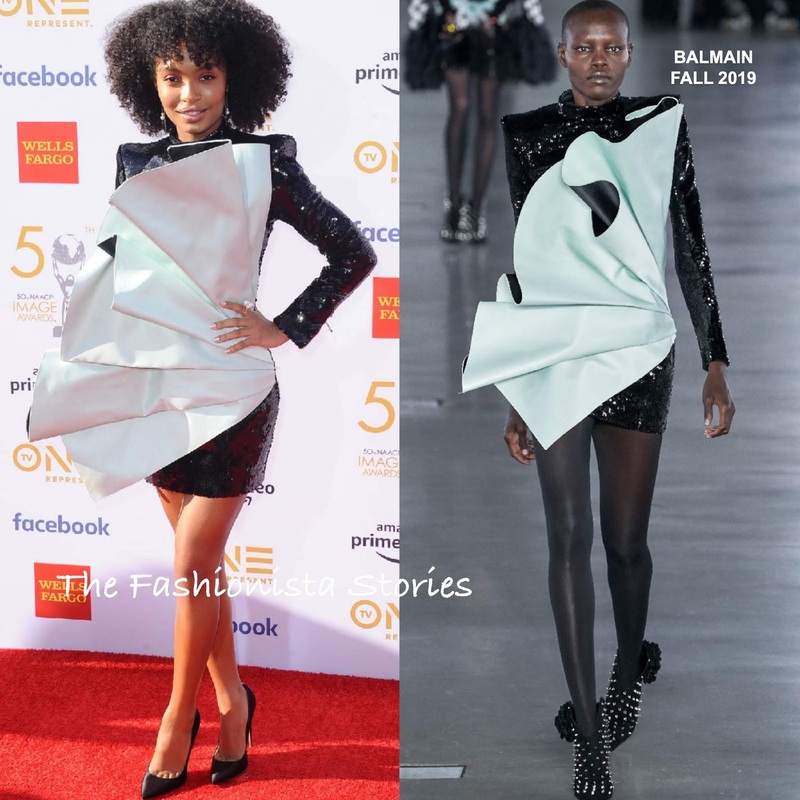 The 'Grown-ish' star chose a statement piece from the BALMAIN FALL 2019 collection. Her black long sleeve sequin mini dress was layered with an organza ruffle bustier, which is detachable. I like this piece but I just don't think it suits Yara. I feel like it needs someone with height, like Zendaya because she could have definitely pulled this off. Also her hair should have been in a sleeker hairstyle. BRIAN ATWOOD pumps finished up her look. Do you think Yara pulled this Balmain dress off?